It’s a new year and a new time – and we’re thrilled to share that starting today, Medieval Times is debuting a new show based around a matriarch! So move on over King, because her majesty, the Queen, is now in charge as the sole ruler of the land. 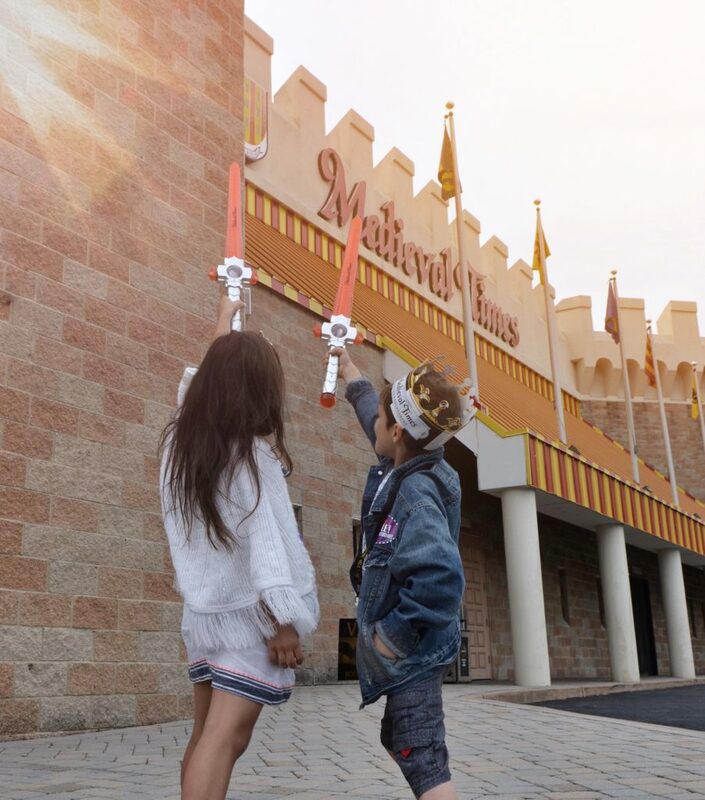 We’re big fans of visiting the Lyndhurst, NJ castle – it makes for a really fun and entertaining experience for all generations. 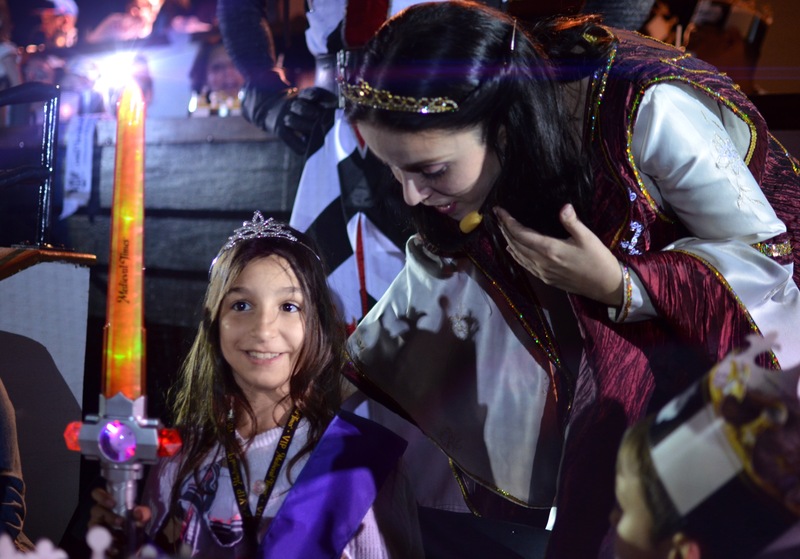 Alongside the jousting, cheering and feasting with our hands – I can’t tell you how happy I am to have my kids (a daughter and son) see the new show with a female in charge as a firm and respected leader. For the first time in 34-years – the Queen is cast in this leadership role. Right-on Medieval Times! In addition to the Queen and the continuation of all the elements that viewers love, there are a bunch of exciting new changes to the show. The new live-action film score is precisely synchronized with every element of the show: from lights to fights; jousts to jabs; the Queen’s entry to curtain closings and more. 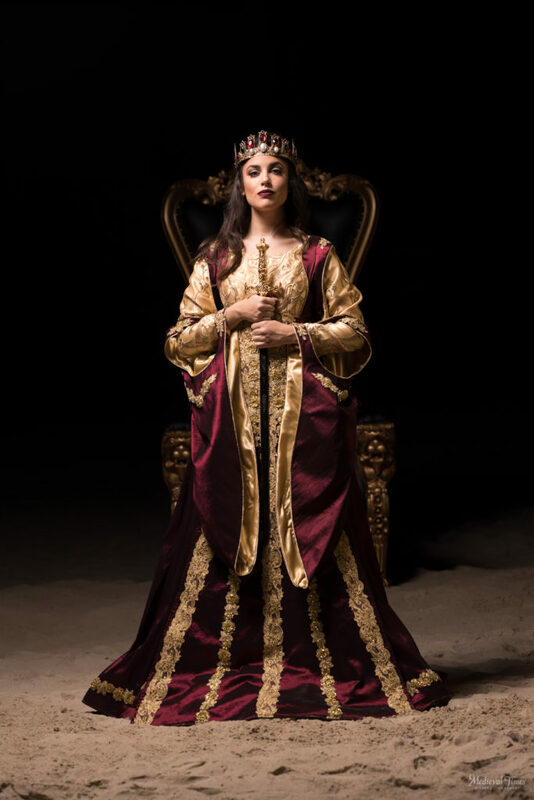 More than 700 new costumes for all nine castles’ performers including horses, all of which are custom-designed and hand-made at a dedicated costume shop in Dallas, TX. The sound and light team spends 120 hours programming 300 new music cues and 500 new lighting cues. Several castles are installing and programming a new LED lighting system that offers 256 colors (the previous system had 14 colors). The system is powered by 10 miles of cable and an estimated million-dollar upgrade. 200 new suits of armor, shields, and helmets, all of which are custom-designed and hand-made at a dedicated armory in Florida. More than 350 team members and 225 horses train and rehearse new lines and fight scenes for three months while still presenting the current show. New music – composed by Dr. Daniel May, a composer and jazz pianist who highlights include scoring “Everest” and other films – and working with notable names including Sting and The Moody Blues. Dr. Daniel May directed and recorded Medieval Times’ new show composition in Kiev with the National Symphony Orchestra of Ukraine. He directed the choir in Ukraine with lyrics written by poet and choir member Solomia Gorokhivska, and a solo cellist and violin player from Pittsburgh, PA.
You don’t need a time machine to travel back to the era of Kings and Queens, just venture over to Medieval Times Dinner and Tournament’s majestic castle in Lyndhurst, New Jersey, where you’ll be greeted as “my lady” (or “my lord”) inside the 11th-century inspired restaurant. 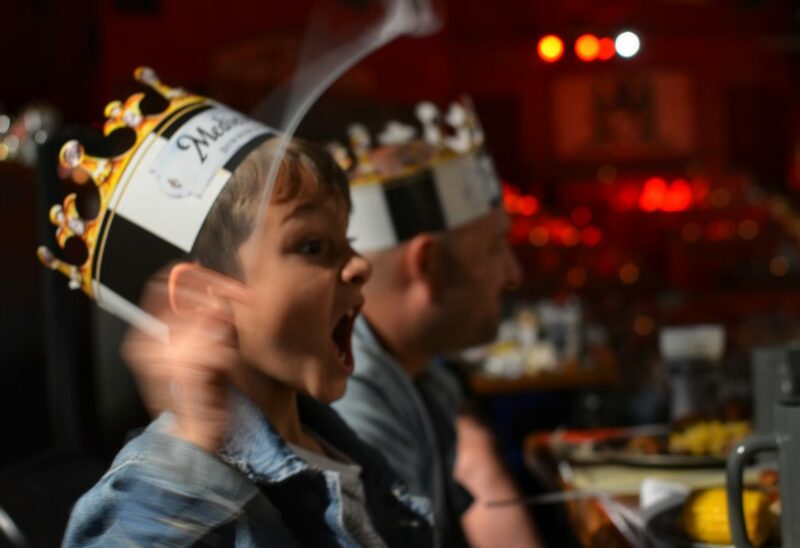 Our Gallant Knight’s recent 7th birthday piqued our interests in experiencing the two-hour show as a family. 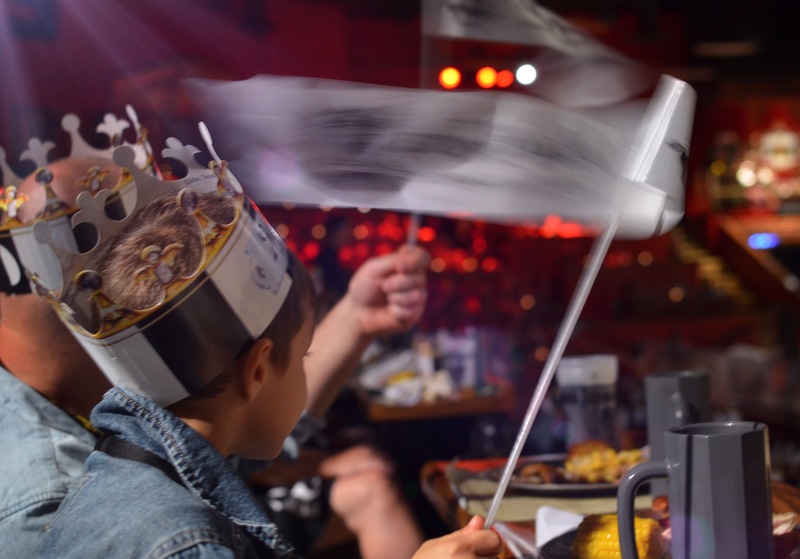 We brought our excitement (and our appetites) and got to rooting for our assigned Knight as soon as we were adorned with cardboard crowns! We took some family photos, checked out the castle’s interior, grabbed adult beverages and two light-up swords, and found our seats in our color assigned section. In an arena full of sand, complete with soon to be revealed characters including a wise King, Princess, Royal Falconer, and Knights upon their chargers – visitors cheered as the tale blasted across the loudspeakers. We were given two booster seats for the kids (and, yes, one for me!) and were then set to dig into a hearty feast consumed without utensils. We joined in the eruption of cheers as the six Knights were introduced in the impressive battle. 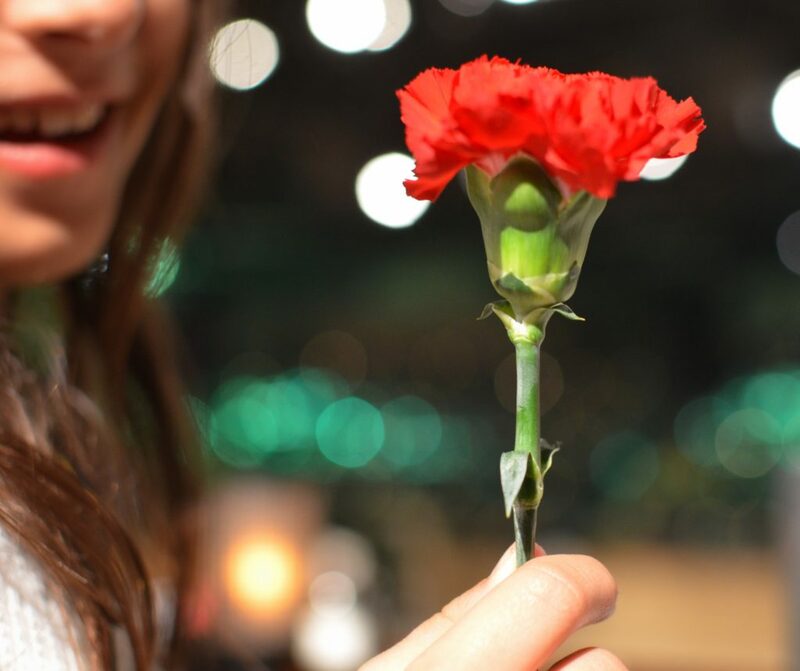 The Knights threw handfuls of flowers into their designated sections and competed in exceptional physical combat – complete with jousting, sparks, special effects and even dives off of horses! Our little birthday boy was all fired-up screaming for his Knight as they thwacked each other and smashed spears to smithereens inside the arena. Much to our surprise, our Knight won the tournament! My husband broke into hysterics watching me jump out of my seat in voracious cheers. We all rooted until our faces hurt and couldn’t believe the events that unfolded when our winning Knight came out of the arena and crowded our girl “the Queen of Love and Beauty!”. Arrive Early: There’s a lot to experience inside the castle, from fun photo-ops – to cool gift shops, a great bar, a dungeon and more. Also, regular seating is first-come-first-serve inside the assigned arena sections. Consider Purchasing the Celebration Package add-on: For an additional $18 per person you’ll get VIP seating (we had our own table), priority castle entry, VIP lanyards, Knight’s rally towels, cheering banners, framed entrance group photos, slices of cake and best of all: a personalized announcement during the tournament! We had them give a shout-out to our son on his birthday, and he hasn’t stopped saying, “but HOW DID THEY KNOW?!!!”. Bring Your Energy! : The collective excitement of visitors in the arena elevates the experience. So come ready to cheer and share your fun on social media with the hashtag #MTFan! 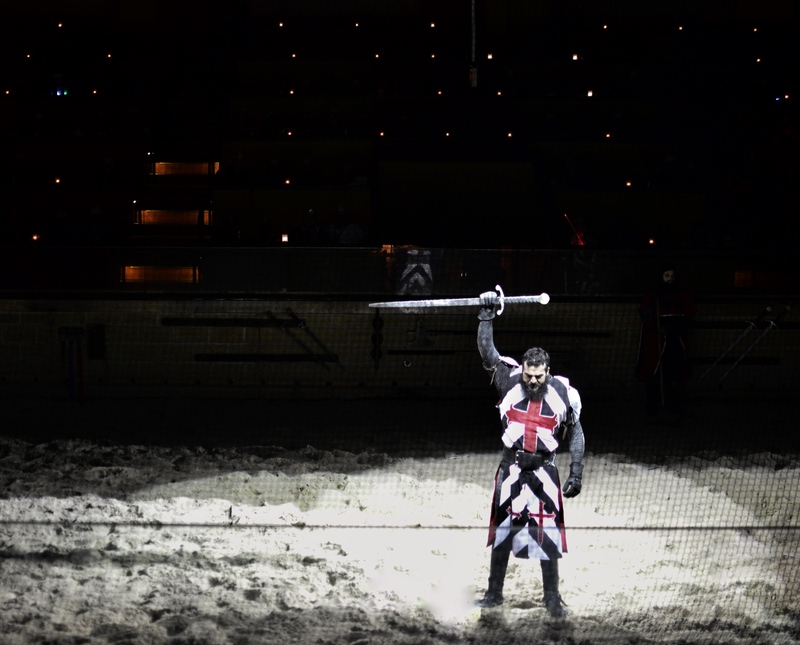 Luckily, you don’t have to live close to New Jersey to experience this epic battle of steel and steed since Medieval Times has nine locations nationwide. 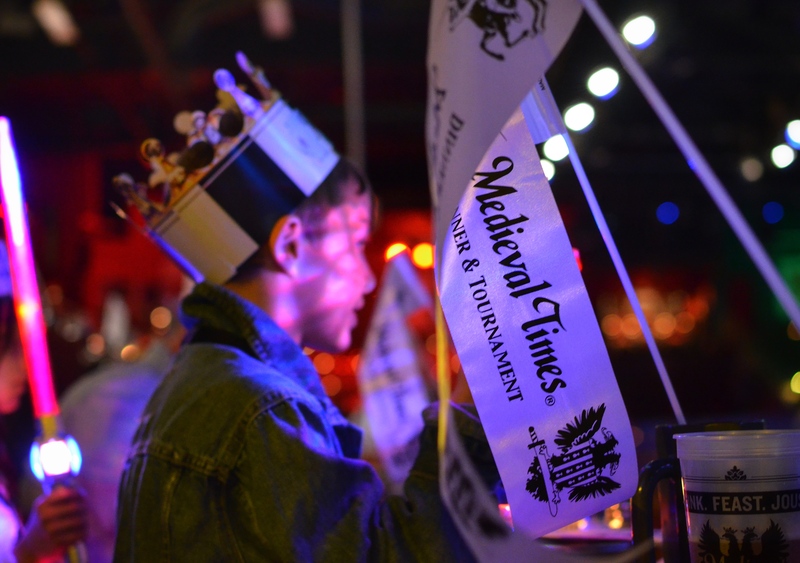 Special thanks to Medieval Times for hosting us. Opinions, as always, are my own.